Talking to Michael Czysz last year during our test ride of the 2012 MotoCzysz E1pc, Czysz said this year his goal was to build a bike that retained many of the aerodynamic characteristics and innovations his team created, but was also more visually palatable for the common motorbiker. As such, the elongated seat remains, which allows the riders to scoot back and lay flatter on the E1pc during the long straights of the Isle of Man’s Mountain Course. 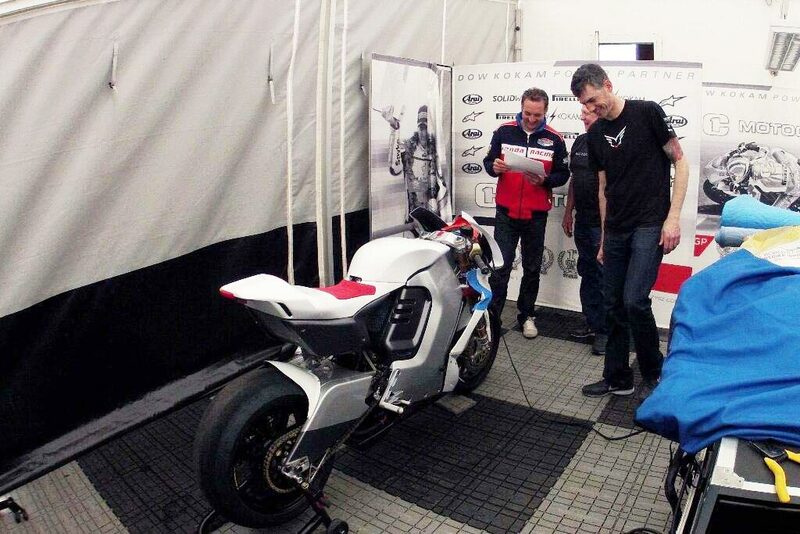 We also imagine the air-routing system seen on the 2012 bike remains in some form as well, though it is tough to see from the current photos, since we don’t have a good front-end picture. 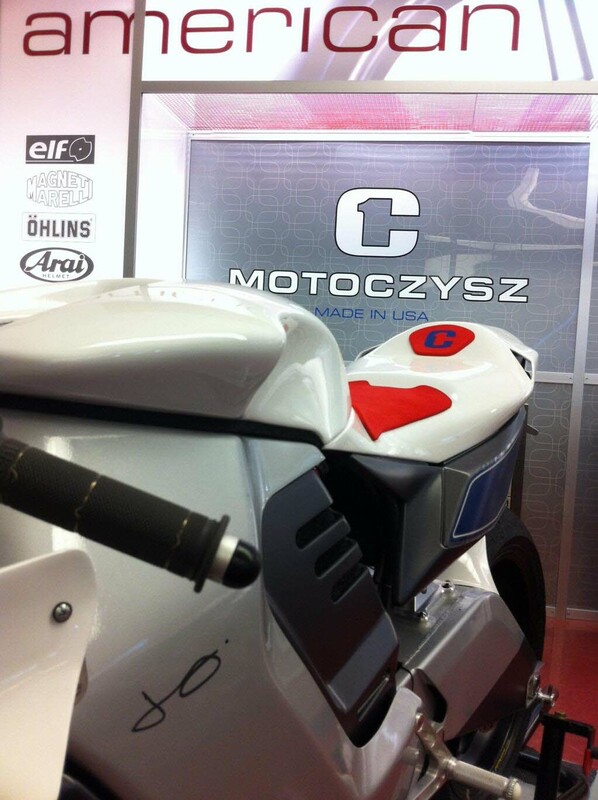 What we do know is that MotoCzysz is aiming not only for another race win, but also a 110 mph average lap speed. Helping achieve that goal is the reported 20% of extra on-board battery power, which if the public spec’s of the E1pc can be believed, would bring the bike close to 17 kWh of on-board stored energy. If you factor in the efficiency of an electric drivetrain over a petrol-based one, this means the 2013 MotoCzysz E1pc will be tackling the Mountain Course with the equivalent of about a gallon and a half of petrol. For reference, the internal combustion race bikes typically refuel after two laps on the Mountain Course, meaning MotoCzysz will have a tad less energy available on its single as the Superbike class rider does. 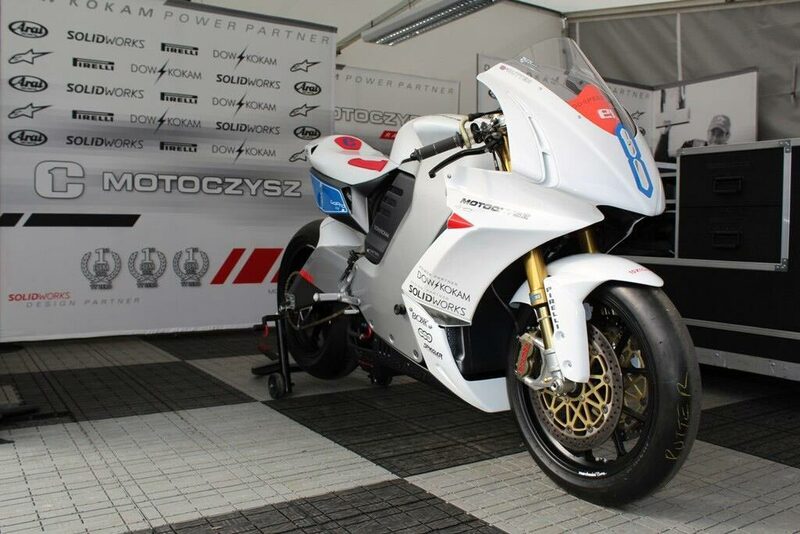 Another noticeable change is the absence of the MotoCzysz front-end with its oval sliders and single shock setup. 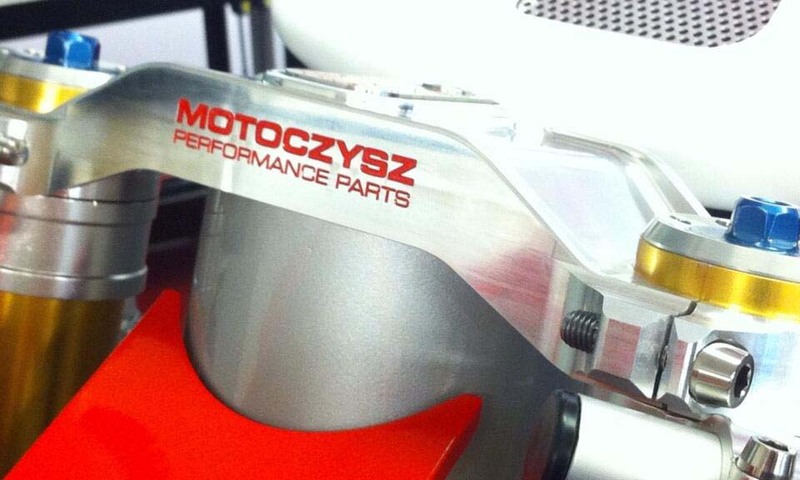 Instead, MotoCzysz has gone a bit more conventional with a standard fork setup, though with a custom triple clamp, of the company’s own design (we hear MotoCzysz will be selling these soon). More photos of the E1pc and news from The Rock as we get it. Until then, we wish the MotoCzysz crew all the best on the Isle of Man TT this year, and send good thoughts to Michael as he will unfortunately miss this year’s round as he continues his fight with cancer.